Qui Etes Vous Polly Maggoo? 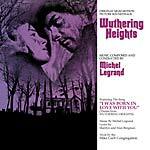 Reissue of Michel Legrand's 1966 cult classic original soundtrack EP -- a must-have! Includes two important, previously-unreleased-on-vinyl bonus tracks. A true time-capsule of the effulgence of the '60s, Qui êtes-vous, Polly Maggoo? 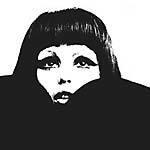 (1966) is an arthouse movie spoofing the fashion world and its excesses. The movie developed cult status thanks to its gyrating scenario satirizing politics, fashion, the media, and more aspects of the mid-'60s French society, and its detours into fantasy sequences and animated segments. In William Klein's movie, fashion often takes on a religious connotation, which is well underlined by Legrand's superb soundtrack. Michel Legrand was behind the music of The Thomas Crown Affair (1968), Summer of '42 (1971), Yentl (1983), Never Say Never Again (1983 (Sean Connery's last Bond film)), and hundreds of other soundtracks, and has recorded with Frank Sinatra, Ella Fitzgerald, Charles Aznavour, James Ingram, Barbra Streisand, and Sarah Vaughan, to name a few. Ultra-limited (to 100 copies) reissue of Michel Legrand's 1966 cult classic original soundtrack EP, with beautifully handmade and hand-folded original cover art -- a must-have! Includes two important, previously-unreleased-on-vinyl bonus tracks. A true time-capsule of the effulgence of the '60s, Qui êtes-vous, Polly Maggoo? (1966) is an arthouse movie spoofing the fashion world and its excesses. The movie developed cult status thanks to its gyrating scenario satirizing politics, fashion, the media, and more aspects of the mid-'60s French society, and its detours into fantasy sequences and animated segments. In William Klein's movie, fashion often takes on a religious connotation, which is well underlined by Legrand's superb soundtrack. Michel Legrand was behind the music of The Thomas Crown Affair (1968), Summer of '42 (1971), Yentl (1983), Never Say Never Again (1983 (Sean Connery's last Bond film)), and hundreds of other soundtracks, and has recorded with Frank Sinatra, Ella Fitzgerald, Charles Aznavour, James Ingram, Barbra Streisand, and Sarah Vaughan, to name a few.